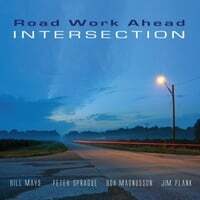 Road Work Ahead, Rob Thorsen, Steph Johnson and the Peter Sprague String Consort all have brand-new discs available. 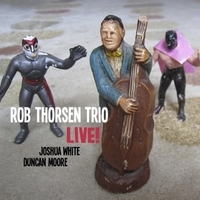 Four local jazz recordings hit the open market this month, including efforts by Road Work Ahead, the Steph Johnson Trio, Rob Thorsen Trio and the Peter Sprague String Consort. This group began as the Bob Magnusson Quartet back in the early 1980s, and became Road Work Ahead when a potential tour of Hawaii became a reality. Since then pianist Bill Mays has moved to New York, so reunions are relatively rare. "Late last year, we did a California tour playing dates in San Diego, Temecula, LA, and 4 more in the Bay Area," said Sprague. "After that we spent 2 days in the studio to record "Intersection." Recorded last year in the acoustically sumptuous Athenaeum Library, Thorsen's latest effort was never meant for public consumption. "I just stuck a Zoom H2 out in front, sometimes when you know the red light is on, it kind of restricts the creativity," Thorsen remembers. "When I actually listened to it about three months later--it captured that certain kind of go-for-it attitude. I've done four or five studio records, but no live ones, and I realized there was this special kind of energy happening." 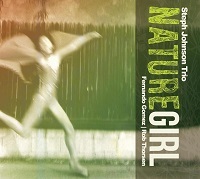 The long awaited release from guitarist/vocalist Steph Johnson features her with bassist Rob Thorsen and drummer Fernando Gomez in a stripped-down and visceral document. "This new record is the closest to sounding like me that I've ever captured," says Johnson. "This is me playing the guitar. I didn't play the guitar at all on my last record. I'm singing what I feel--no one is telling me what I should be singing. It's recorded live-- I've never made a record like that." 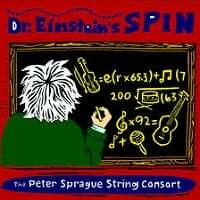 Composed and recorded through a grant from Chamber Music America, Dr. Einstein's Spin represents a true marriage of jazz trio with string quartet. "My process for composing the Einstein music was to first start out on the guitar to come up with big structural ideas," Sprague said. "From there I transferred this information to the computer. I was able to hear a midi version of the composition and that guided me into what I ultimately think are the right moves." The rhythm section of Bob Magnusson on Bass with Duncan Moore on drums shadow Sprague's dancing nylon-string improvisations. Weaving seamlessly throughout are the violins of Bridgett Dolkas and Jeanne Skrocki, Pam Jacobson's viola, and the cellos of Lars Hoefs and Carter Dewberry.